Tucked off Gulf Street, this stunning colonial is convenient to Gulf Beach, Milford Harbor, Metro North/Milford Train Station, the Milford Green and all the fantastic surrounding shops and restaurants. A circular driveway accents the front approach to this home and the character surrounds you the moment you step inside. 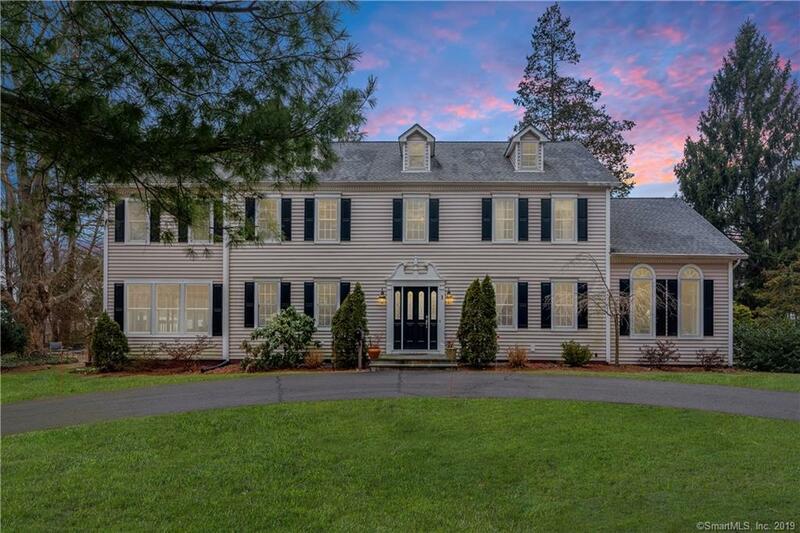 Arched doorways, a double-sided fireplace, hardwood floors, solid wood doors, crown molding, raised panel molding, French doors are just a few of the few examples of the details found in a home of this caliber. Spacious rooms and a flexible floor plan allow this home to live as large or cozy as you'd like. There are even 2 laundry locations. An eat-in kitchen opens to the family room with large windows to let in abundant light. Upstairs is a master suite with walk-in shower, tub and dual vanities, hall bathroom and 3 additional bedrooms (one with bonus space) - all bedrooms have hardwood floors. The third floor walk up makes storage a breeze. This home is one of the larger lots in the immediate area and is set on over 0.40 acre and has room for whatever you'd like to create in your outdoor space. Get ready to enjoy Spring on the patio, Summer at the beach or take the train into the City - It all begins here at 1 Glen Street.